Time to Get your quilt done! 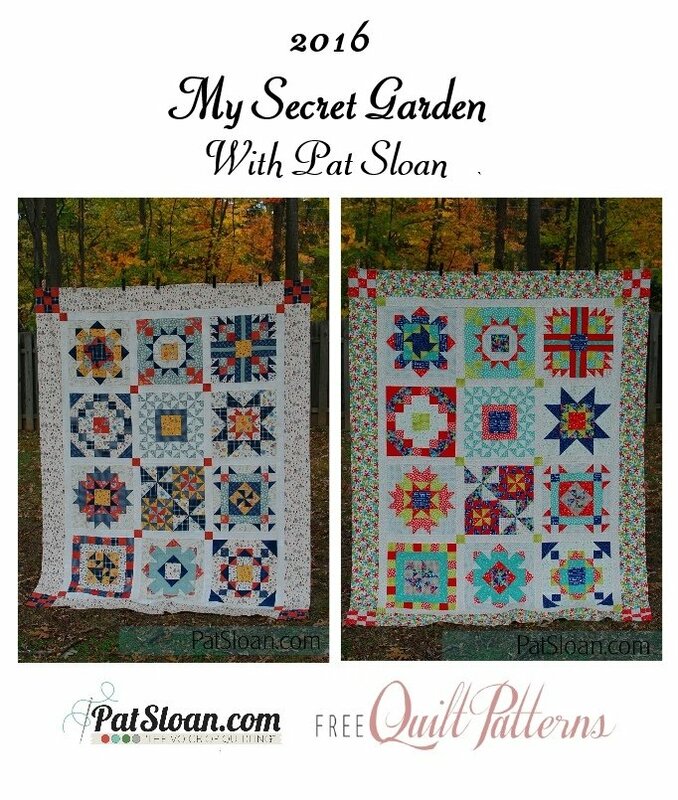 Pat's 2016 Mystery Block of the month, 'The Secret Garden' has ended. It’s time to see the blocks sewn together! 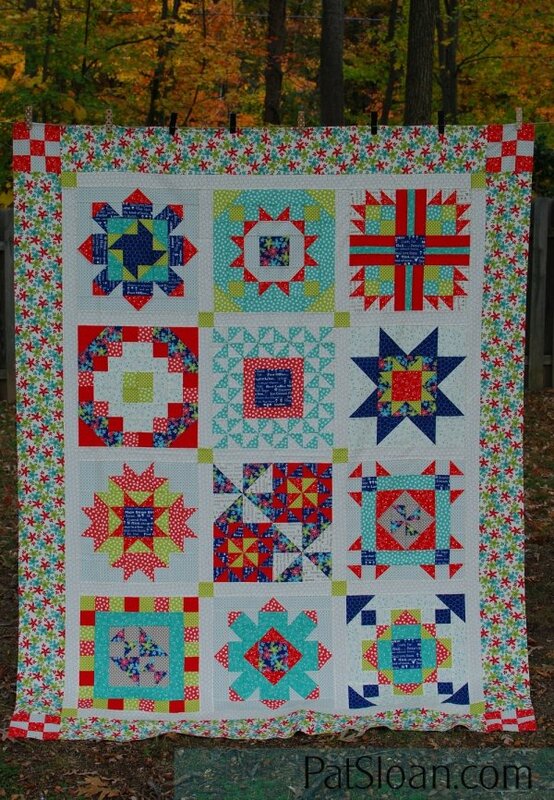 Find all the block at My Secret Garden Past blocks page. 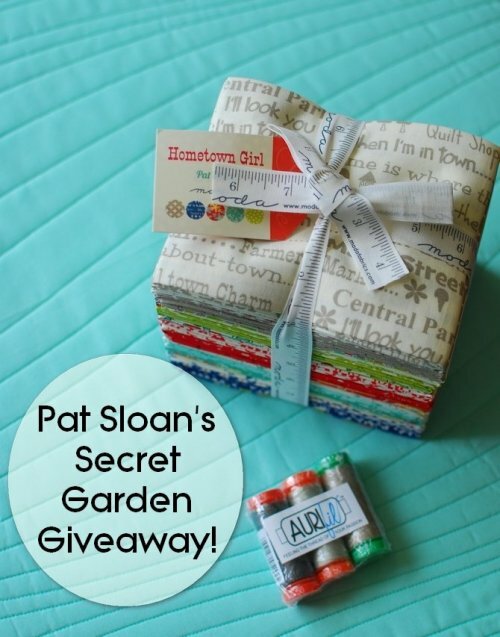 Also visit Pat's page for a few additional fun insider tips and to share a photo of your block at her quilt show! Pat Sloan on sewing up the final quilt. I love doing the blocks in two colorways so you can see how different fabric placements change up a block. And for both quilts I went with a light border this time. Note - The cutting directions for the setting are in Pattern Ten. 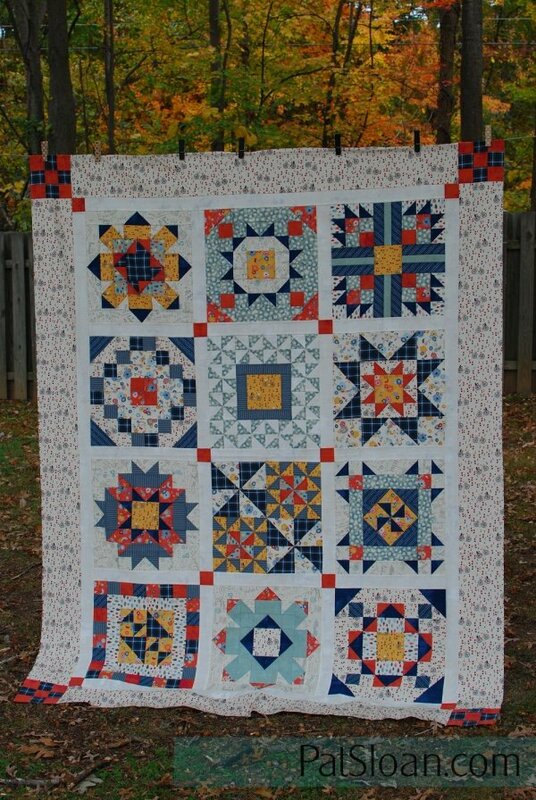 Now it’s time to enter your quilt in my challenge for a chance to win this prize!